If you would like to catalogue AVCHD MTS on Mac with iPhoto, just follow the steps below. iPhoto is designed to allow the importing of pictures from digital cameras, local storage devices such as USB flash drive, CDs, DVDs and hardrives to a user’s iPhoto Library. Almost all digital cameras are recognized without additional software. iPhoto supports most common image file formats, including several Raw image formats. iPhoto also supports videos from cameras, but editing is limited to trimming clips. If you wanna to use iPhoto 8/9/11 to handle of you 1080p AVCHD mts files from Canon/Sony/Panasonic/JVC, you need to transcode the .mts, m2ts clips to Quicktime MOV or MP4 format for iPhoto. To achieve the goal, Brorsoft MTS/M2TS Converter for Mac is recommended for you, with this you can achieve the individual .mts to Final Cut Pro conversion. It is a professional AVCHD MTS converting tool. This Mac AVCHD converter can easily convert MTS/M2TS to any other format including QuickTime .mov with the best quality. Besides, it supports various professional encoders like DNxHD for Avid Media Composer, AIC for iMovie/FCE, ProRes for Final Cut Pro, etc at fast speed with the best result. Besides transcoding, the program is also able to merge AVCHD .mts or .m2ts clips into one file as a best MTS joiner for you. For Windows users, please get MTS/M2TS Converter. Step 1: Install and launch the AVCHD Converter for Mac. 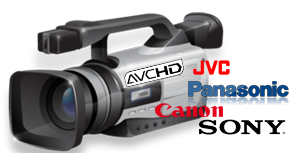 Click the Add Video button to import your Canon/Sony/Panasonic/JVC AVCHD mts files. Step 2: Click on the dropdown menu of “Format” and select “Common Video -> MOV – QuickTime (*.mov)” as target format. This format is specially designed for iPhoto playback. If you want to edit AVCHD video in FCP, “Final Cut Pro ->Apple ProRes 422 (*.mov)” will be the best choice. Step 3: When the former steps finished, you can press “Convert” button to start transcoding AVCHD MTS files to QuickTime MOV for work natively on Mac OS X including macOS Sierra and El Capitan. After the successful conversion, you can easily transfer AVCHD MTS video to Mac for editing in iPhoto or editing in Final Cut Pro without any plug-in.